Students will love practicing their addition and subtraction facts with this set of strawberry-themed first grade math facts clip cards. All basic math facts from 0-10 are included!Also included are blank cards so you can create your own math facts clip cards. 50 pages of math fact fun! Students will love practicing their addition and subtraction facts with this set of strawberry-themed first grade math facts clip cards. All basic math facts from 0-10 are included!Also included are blank cards so you can create your own math facts clip cards. 50 pages of math fact fun! Perfect for math centers, homeschoolers, or math practice at home. You will be directed to the download page. 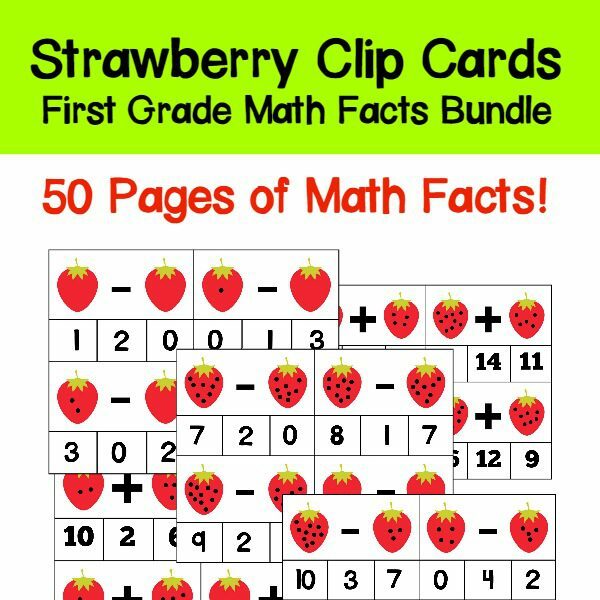 Click “Download: Strawberry Math Facts Bundle” to save your printable. You will also be sent an e-mail link to download your printable. Print the clip cards onto cardstock paper and laminate, for best results. 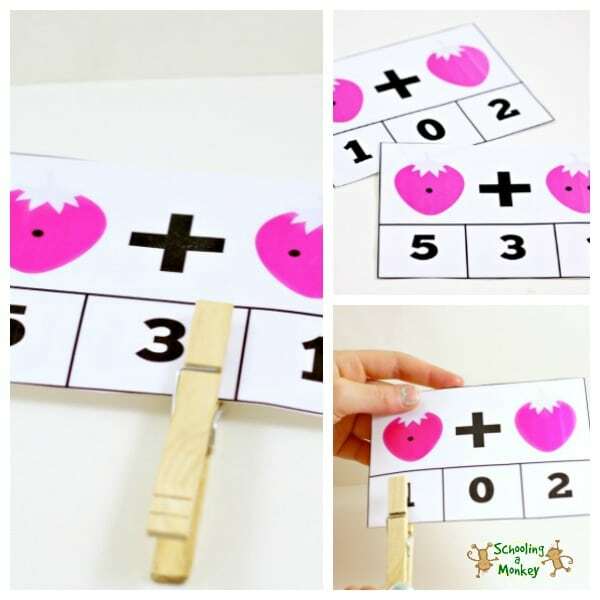 Find more info on how to use these strawberry math fact clip cards here.